To show our support for National Marriage Week USA, we have joined forces together to build stronger marriages and relationships. 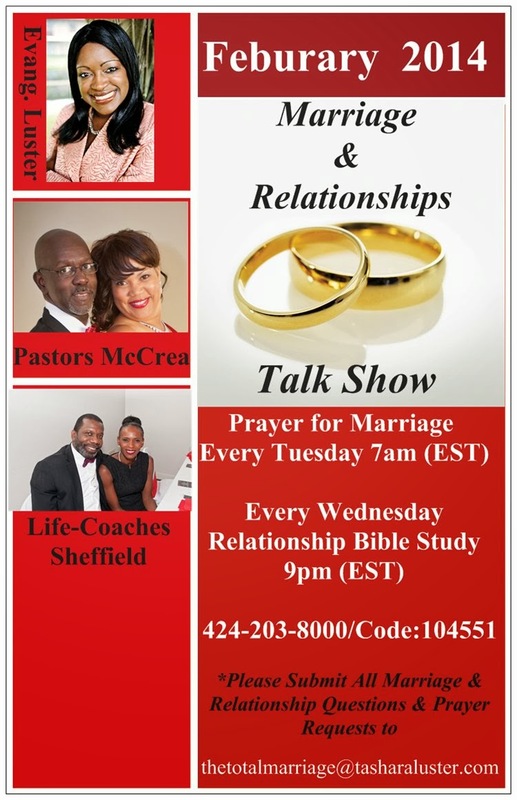 Evangelist Tashara Luster (Daily Benefits Ministry), Pastor Tina & Elder Gary McCrea (Without A Trace Ministries), & Life-Coaches Eddie Samuel & LaTrina Sheffield (The Goshen Group) are ready & equipped to bring you resources, tools and other great information to build strong marriages and relationships. We will also be taking marriage & relationship questions via Twitter and Facebook and we will respond to people personally during the Wednesday calls. 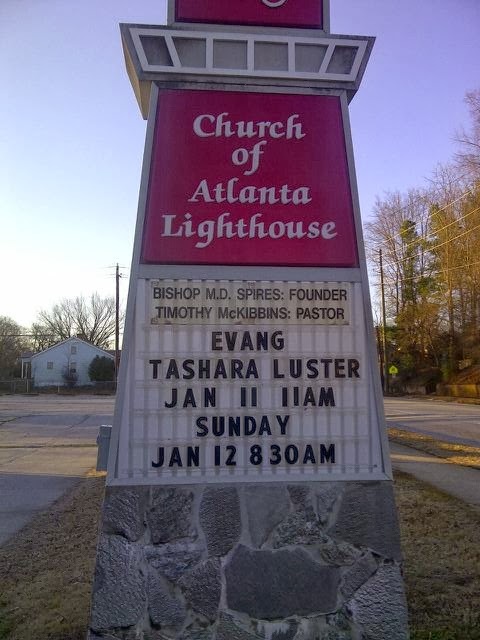 So be sure to follow us on Twitter @TasharaLuster, and @pastorWATM. Also on facebook www.facebook.com/Without-A-Trace-Ministries-Inc for an opportunity to have your questions answered. God's Got A Word For The New You! If You Missed The Services This Past Weekend, Order the CDs Now! Also Purchase My Book At The Bookstore! 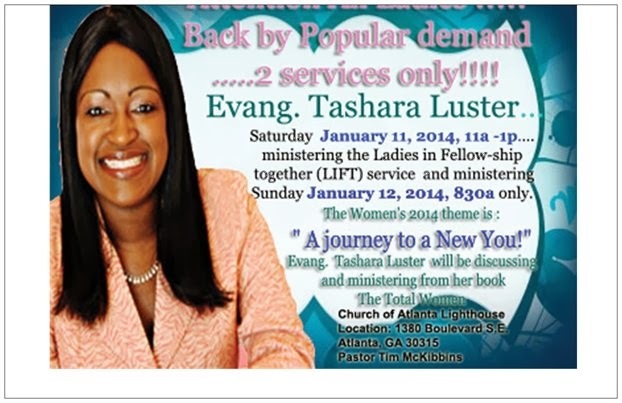 Saturday 1/11/2014 Message For Women Only: " The Journey to A New You"
Sunday 1/12/2014 Message: "Living Life From the Inside Out in Dry & Dead Situations"
Please Join Me This Weekend For One of These Exciting Services! This Saturday, January 11, 2014 is Total Woman Saturday! I will be ministering to Women only from my Book (The Total Woman). There will a time of Q&A, Book Signing, and Pictures with the Author. You Don’t Want to Miss This Amazing Opportunity to The Journey Of A New You! This special Women’s Only Service is from 11am-1pm!